A Lens is most important part of photography. For a good image, the quality of lens matters much more than the camera body. If you already have a decent body, then you must consider investing in good optics than upgrading camera body for the sake of few extra megapixels or features. How To Find the Right DSLR Lens For Your Photography Needs? Different lenses have different types of benefits based on the type of photograph you want to take. Find below the specific situation and corresponding requirement of lens. The actual focal length of the lenses from different manufacturers (Canon, Nikon, Sigma, Tamron, etc) is mentioned, but the specific names of manufacturer have been omitted. Portrait: In Portrait shots, we need sharp focus and mid range focal lengths with large apertures. A large aperture ensures shallow depth of field and pleasing bokeh effect, which is important to make a portrait stand out. A focal length starting from 50mm to 150mm are ideal for portrait photography. You can either buy fixed focal length lenses such as 50mm, 85mm, 135mm or zoom lenses such as 24mm-70mm, 24mm-105mm, 18mm, 105mm, and 70mm – 200mm. Fixed focal length lenses provide very sharp images with pleasing bokehs, however, zoom lenses provide more flexibility and you do not need to move to create a frame. Landscape: A Landscape image needs broader angle of view, therefore a wide angle lens. You need to capture much broader area and a small focal length lens would be helpful here. A focal length starting from 8mm (we do not have options below 8 mm as of now) and ending anywhere around 35mm would be ideal for landscape photography. 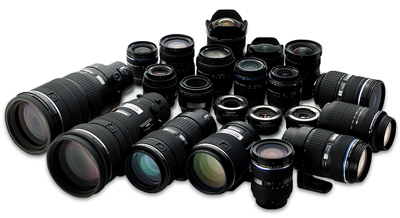 You can consider lenses having 8mm-15mm, 10mm-22mm, 16mm-35mm, 17mm-40mm focal lengths. For landscape photography, it is also important to different filters such as UV, Polarizing, Neutral Density, Graduated Neutral Density to add effect at optical level (To know more about filters, read the article "Photography Basics – Filters"). A full frame body is more useful in landscape images as they provide you even broader angle of view. One can also use fish-eye lens to shoot creative landscape images, but they cannot be use always. Wedding: A wedding scene includes well dressed people, enjoying, smiling, talking and dancing. There are also different rituals to be followed in different types of weddings. The lighting levels are relatively low as wedding tend to happen after sunset or in closed halls. 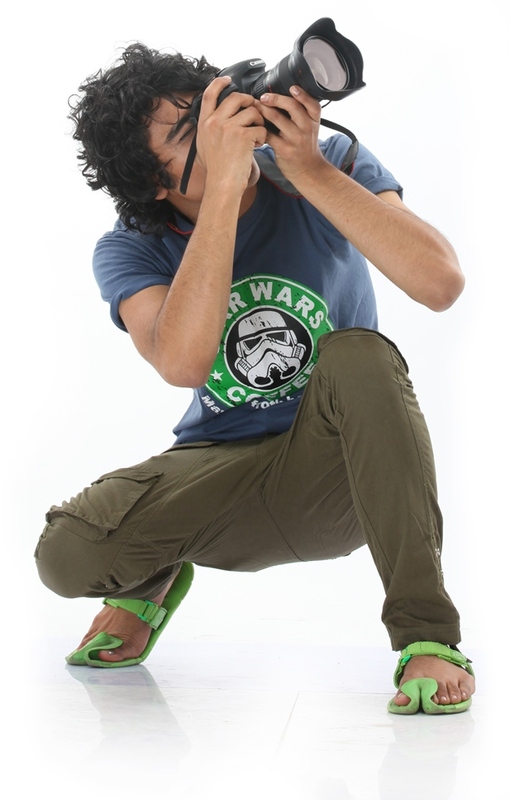 Apart from using studio lighting and flash, it is very important to choose best suited lens. A 70mm-200mm with F/2.8 is considered to be one of the best wedding lenses. It provides you a fairly good zoom, so that you do not need to interfere between anybody, a large aperture helps in low light photography and large aperture combines with long focal length to give outstanding bokeh effects. You can capture natural expression using this lens. However, a second lens such as 24mm – 70mm will help you capture a group of people in one frame. Wildlife: Wildlife photography is the real test for any lens. You need the largest possible focal length (as the animal can be far), largest possible aperture (as the lighting condition can vary randomly in forest and fast shutter speeds can be frequent requirement), best image stabilizers (so that you can take stable handheld shots) and lightest possible weight (so that you can hand hold lens for longer duration). Now, one cannot have everything in one lens, but you can always optimize. Large focal length is the most important requirement, so this is the first priority to buy lens for wild life photography. Any lens from 300mm and above is suitable for wild life photography. Keep image stabilization as the second most important factor for Wildlife Photography. Here, you can either buy prime lenses (300mm, 400mm, 500mm, and 600mm) or zoom lenses (100mm-400mm, 80mm-400mm, 150mm-500mm). The mentioned zoom lenses also provide you flexibility to capture wide shots, but the image quality from a prime lens is incomparable. Moreover, prime lens have larger apertures than zoom lens (but they are very costly). Sports: The requirement for Sports Photography is similar to that of Wildlife Photography. The conditions are similar. The only benefit in Sports Photography is that you may fix a position so can use a tripod. The requirement of lens is same as that of Wildlife. Night/Low Light: The basic need for night or low light photography is larger aperture. Any lens with aperture equal to or larger than f/2.8 would be considered good for this purpose. The best and cheapest lens for this purpose is 50mm f/1.8. Fashion: Fashion Photography need professional grade lenses as the images may be used for commercial purposes. Therefore, a standard zoom lens with focal range falling between 18mm to 200mm (preferably from 50mm to 150mm) and large aperture would do a good job. Some of the best options could be 24mm-70mm, 24mm-105mm and 70mm-200mm. A lens with image stabilizer would be an added advantage. A prime lens may not be very helpful for shooting the ramp walk as you would need to shoot varying distance and would not have much space to move. But, they can be surely given preference for shooting portraits. Architecture: The main requirement for Architecture Photography is straight lines. Most of the wide angle lenses make architecture look like tilting inwards, which gives a distorted view. So, here we have limited options. Either shoot from a reasonably good distance using a lens having focal length in the range of 18mm to 200mm or use special purpose lens called tilt and shift lens. One can also use fish-eye lens to shoot creative architecture images, but they cannot be use always. Street Photography: Street Photography needs capturing candid expressions. A lens with large aperture and focal length between 100mm-200mm can do a good job. The best lens for this purpose is 70mm-200mm with F/2.8. However, we can also consider lenses starting from broader angle of view such as 18mm-105mm, 24mm-70mm and 24mm-105mm. Flower/small objects: To magnify small objects, we have special purpose lens called Macro lens. A Macro lens provides close focusing distance and magnifies the object to show at life size level. The generally available Macro lenses are 50mm, 100mm and 180mm. They are specific Macro lenses so should not be confused with the other lenses. We even have some level of Macro capabilities in general lenses, but they can never capture it as a dedicated Macro lens. A 100mm or 180mm Macro lens is more suitable for use as it can give you safe distance from the object, allowing capturing insects without disturbing them. This lens also helps in capturing sharp and pleasing portraits.